The Backstreet Boys are a Grammy-nominated American boy band. Performing first in July 1993, the group has charted 12 U.S. Top 40 hits on the Billboard Hot 100, 16 UK Top 10 hits, and sold over 100 million albums worldwide, the best selling boy band of all time, and World's Biggest Money Makers (Concerts and Album Sales) 1997-2005: #1 ($533.1 million). 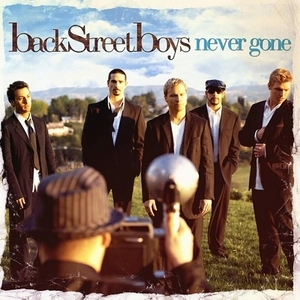 Since returning to the music scene in 2005, their sound changed of direction, more guitar driven, incorporating most live instruments (some of which they play themselves live) in Never Gone. The current four-member group consists of Nick Carter, Howie Dorough, Brian Littrell, and A. J. McLean. Original member Kevin Richardson left the group on June 23, 2006. but the four-piece refused to rule out a possible return for the singer.